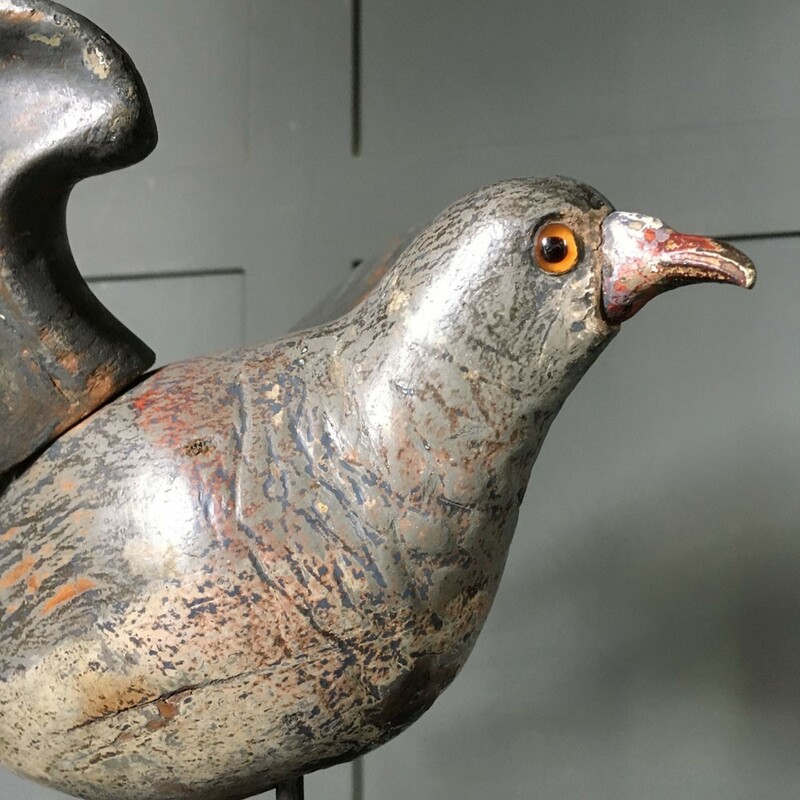 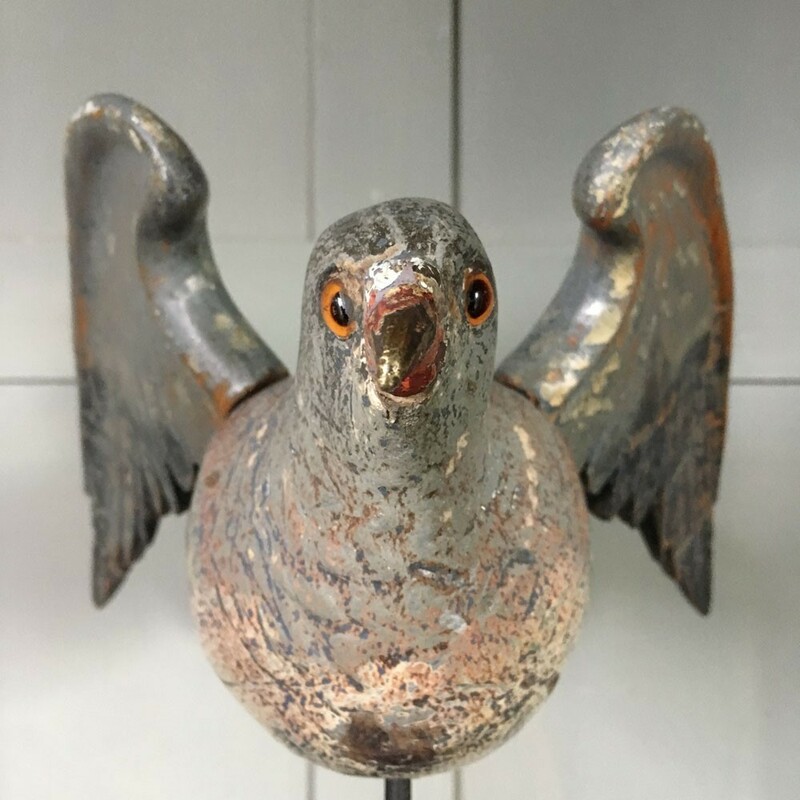 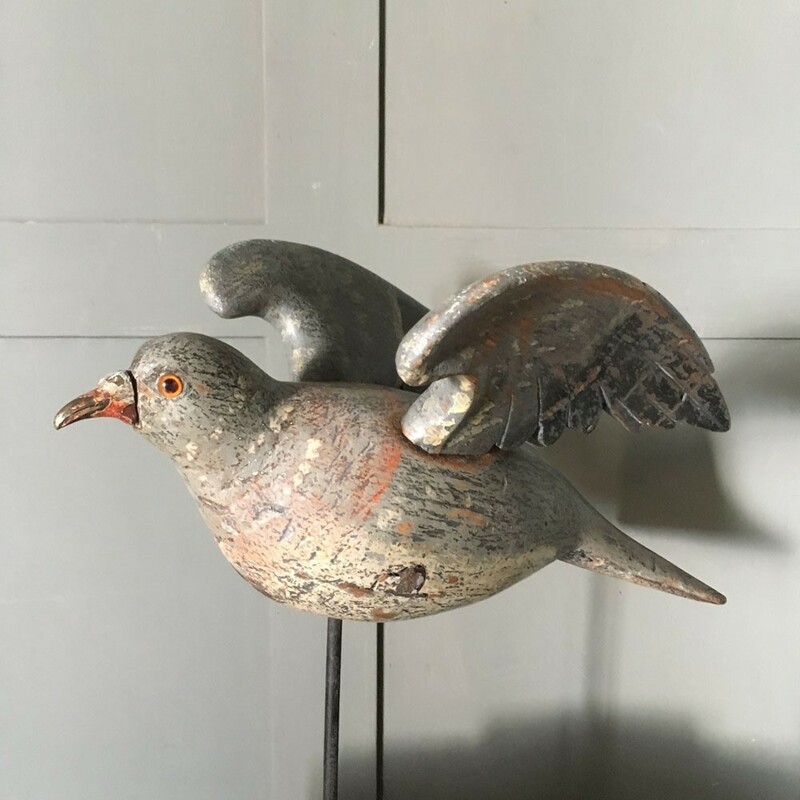 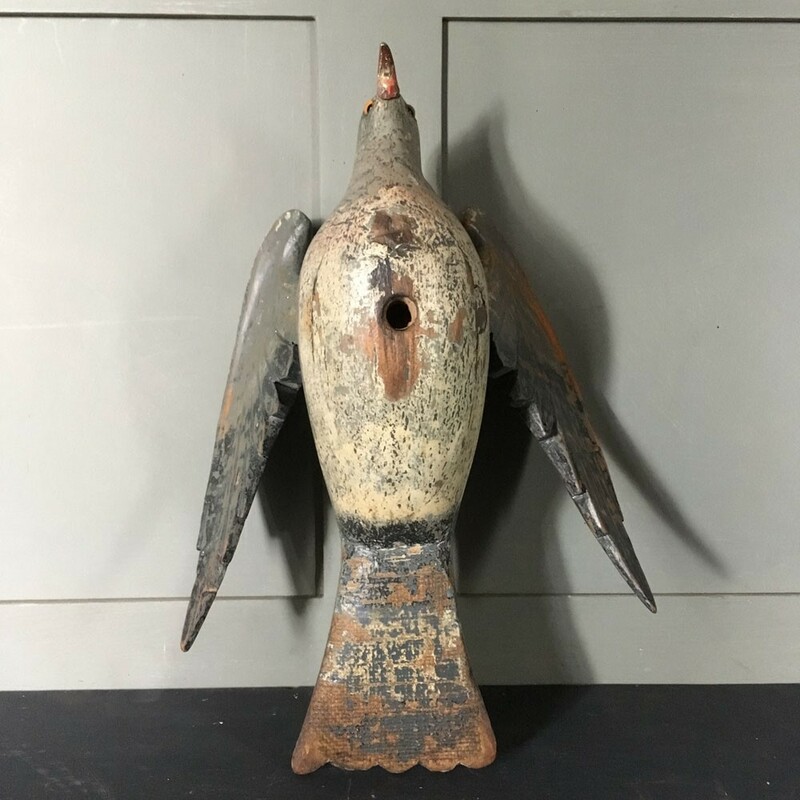 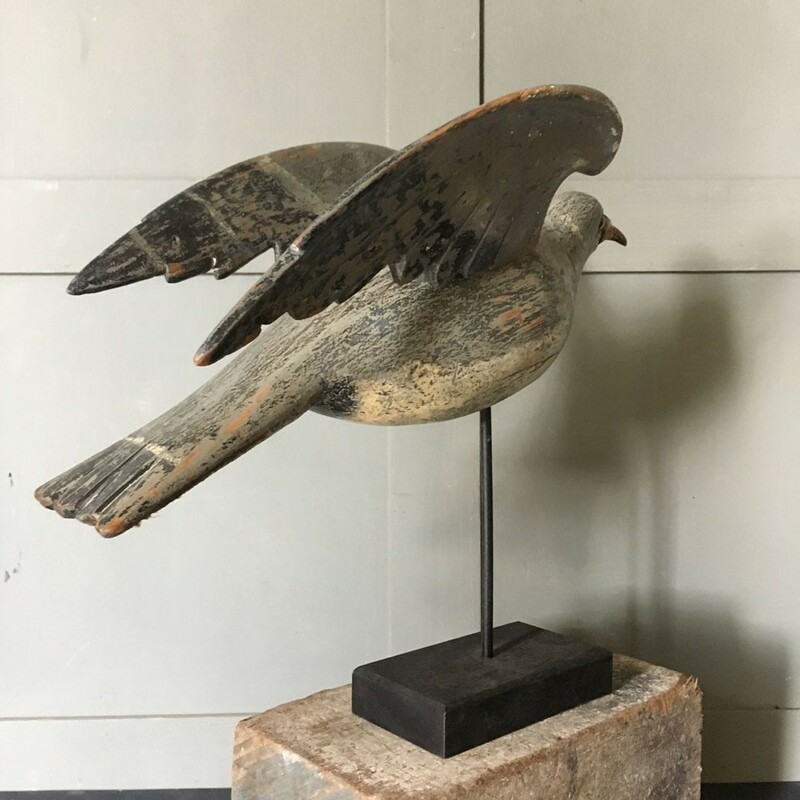 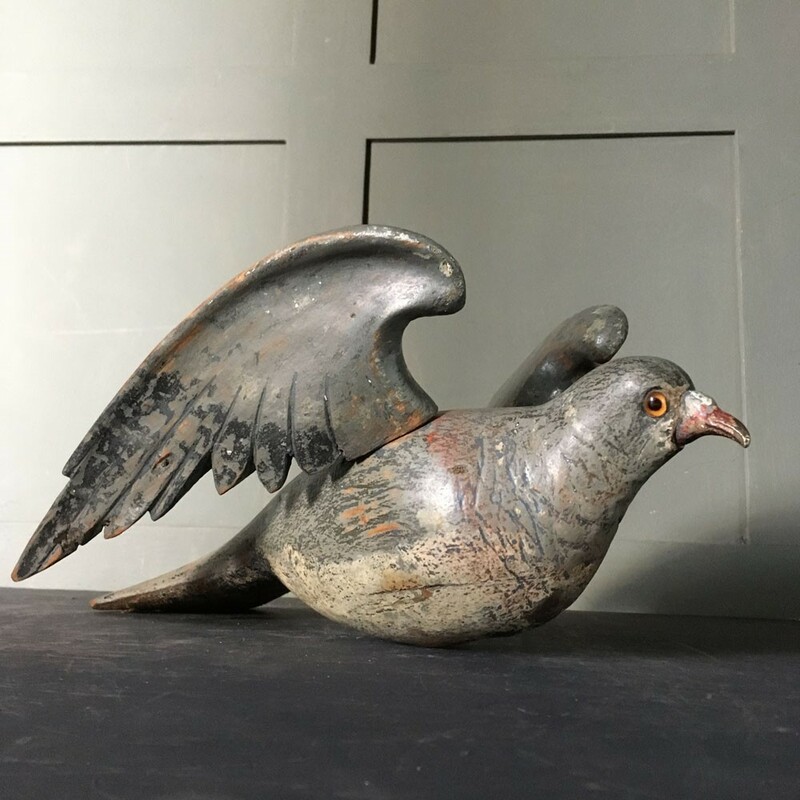 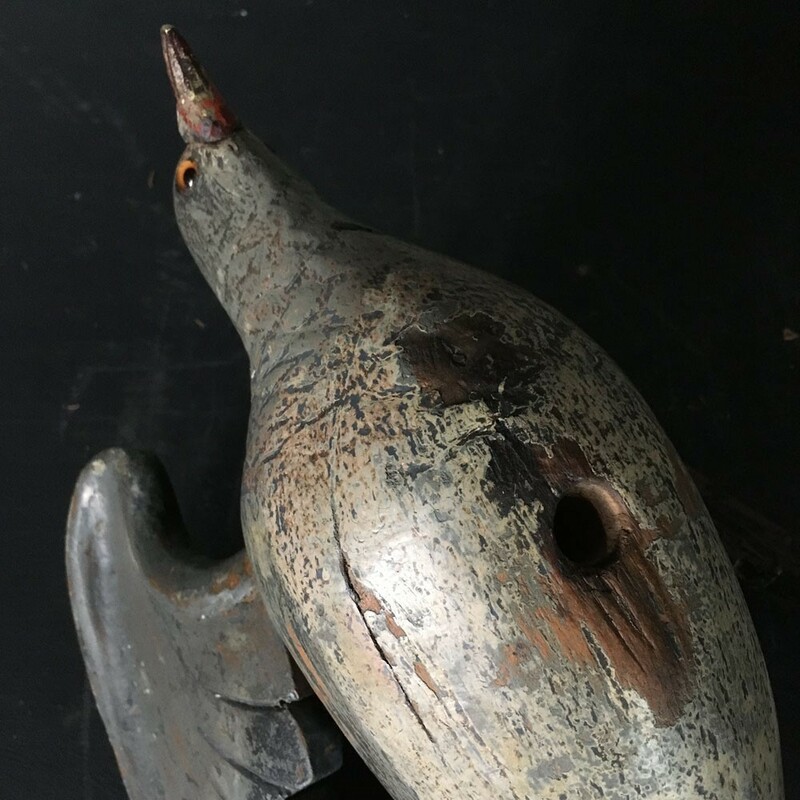 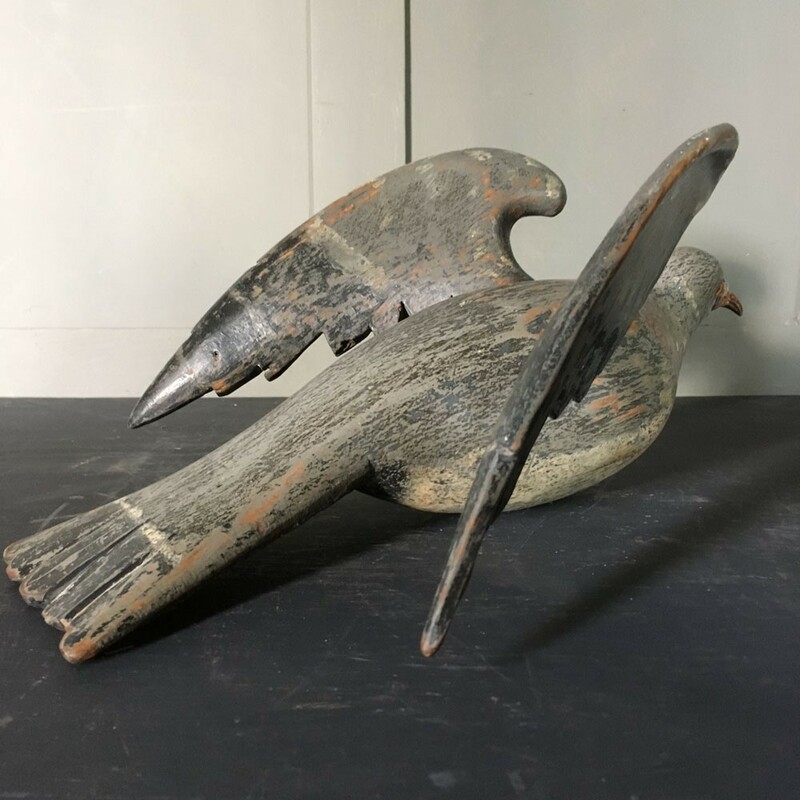 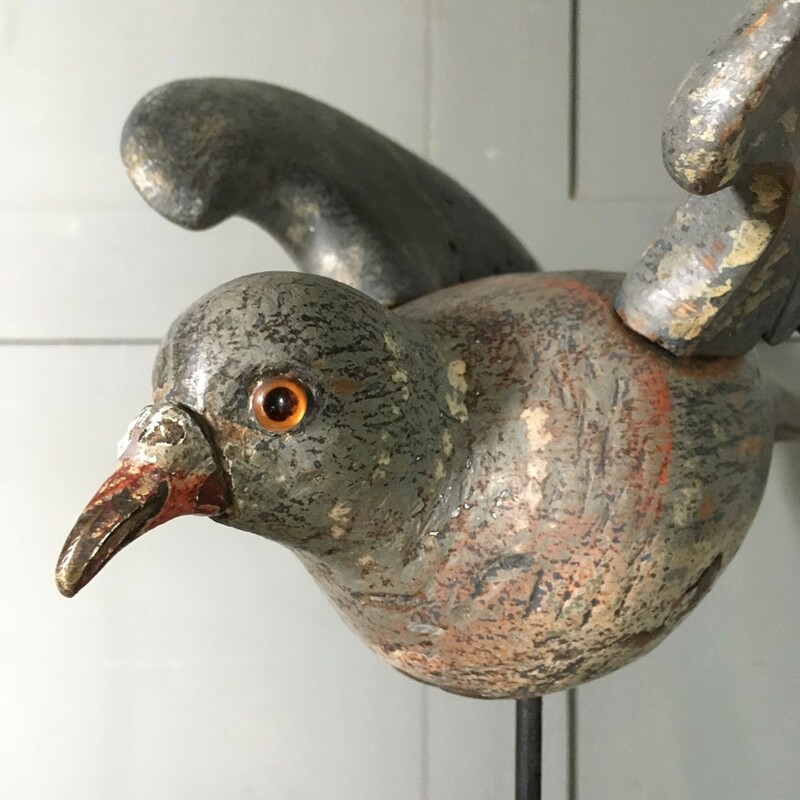 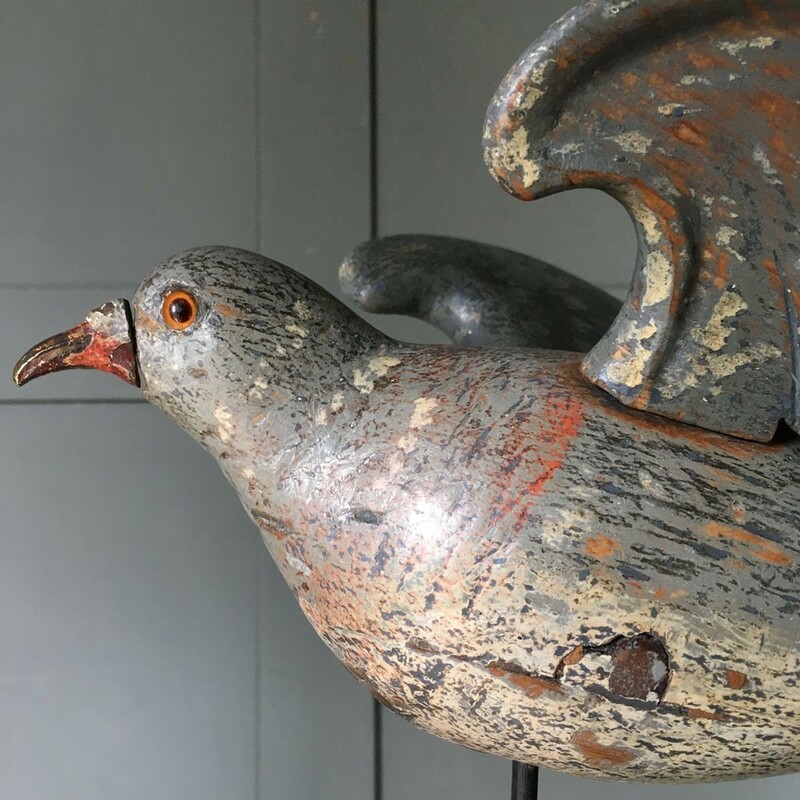 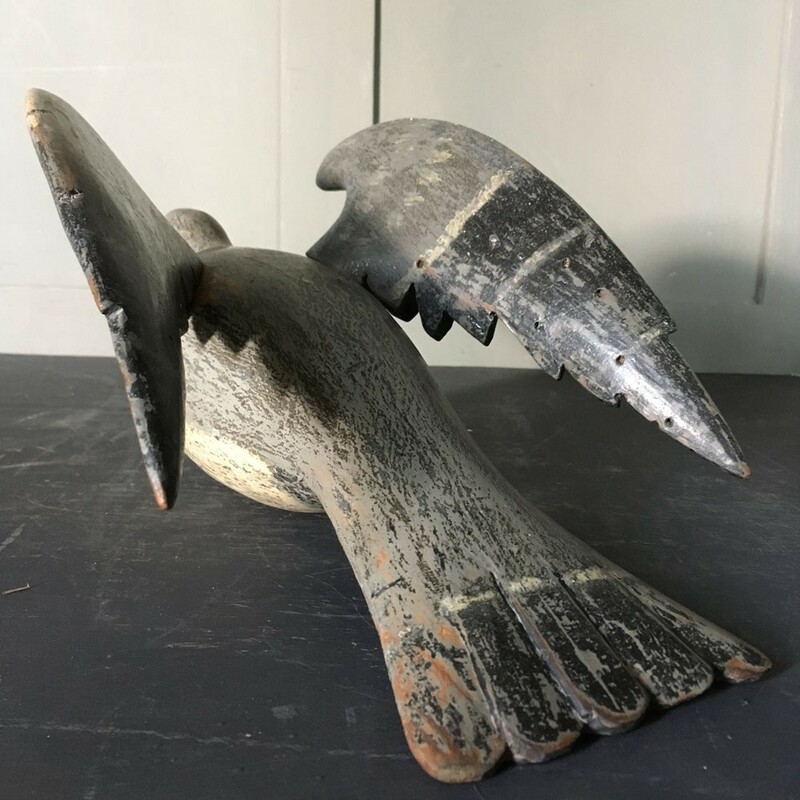 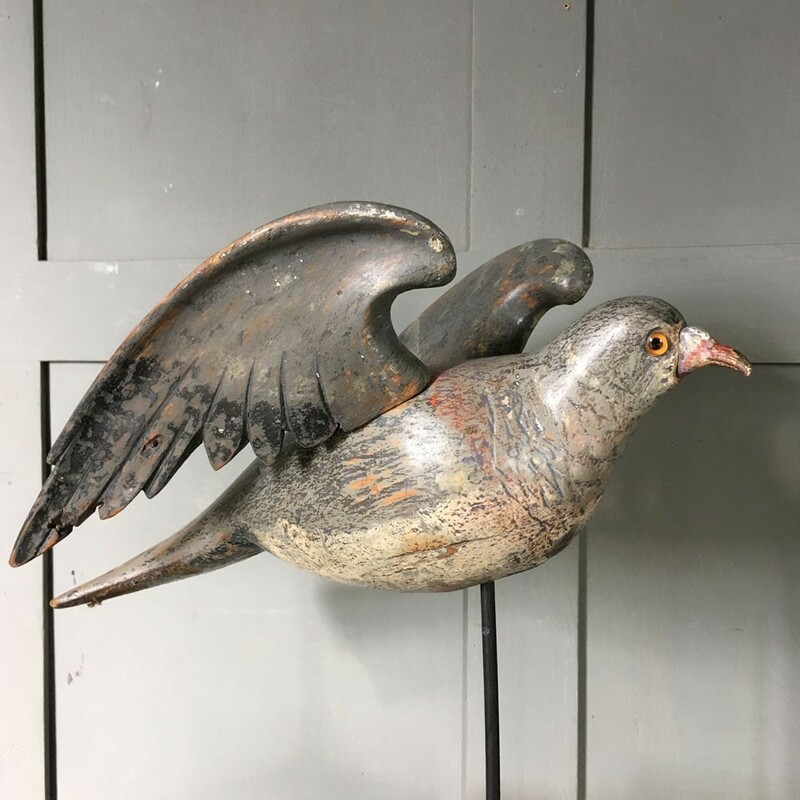 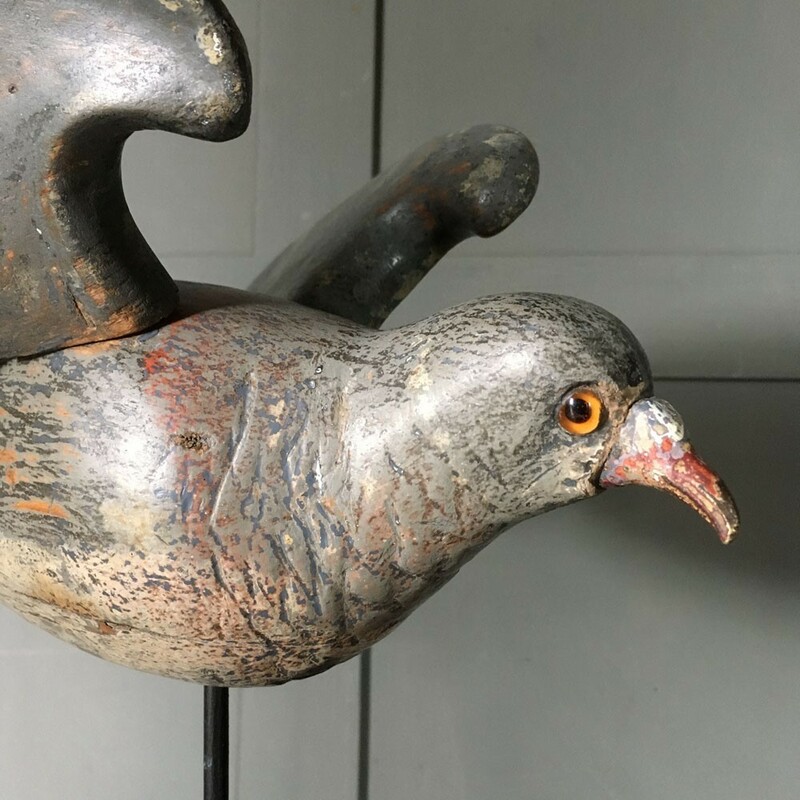 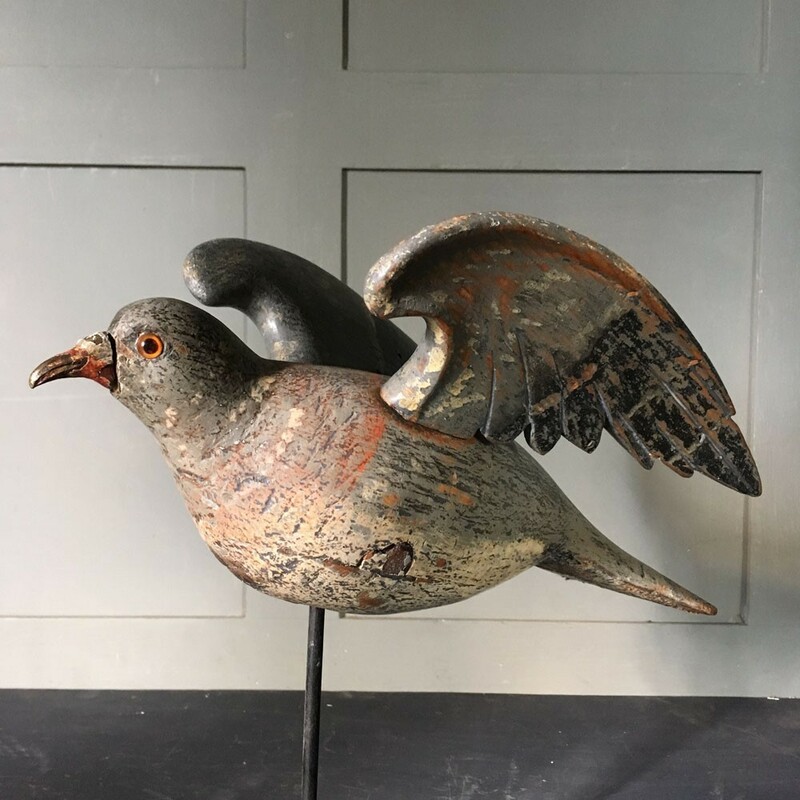 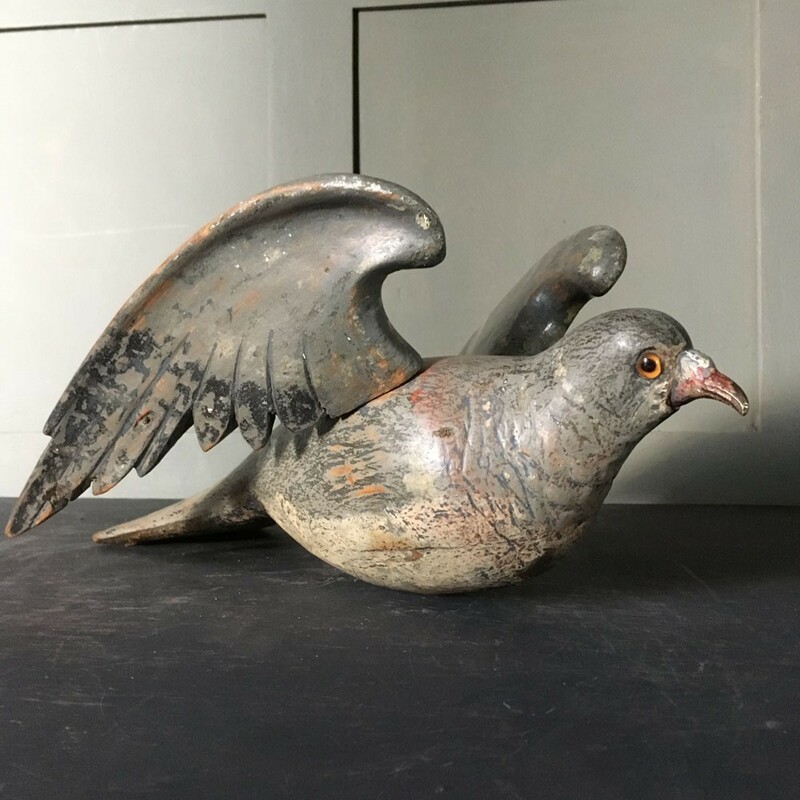 An early carved wood pigeon decoy, typical of those supplied by the London gunsmith firm of Trulock and Harriss in the late 19th/early 20th century. 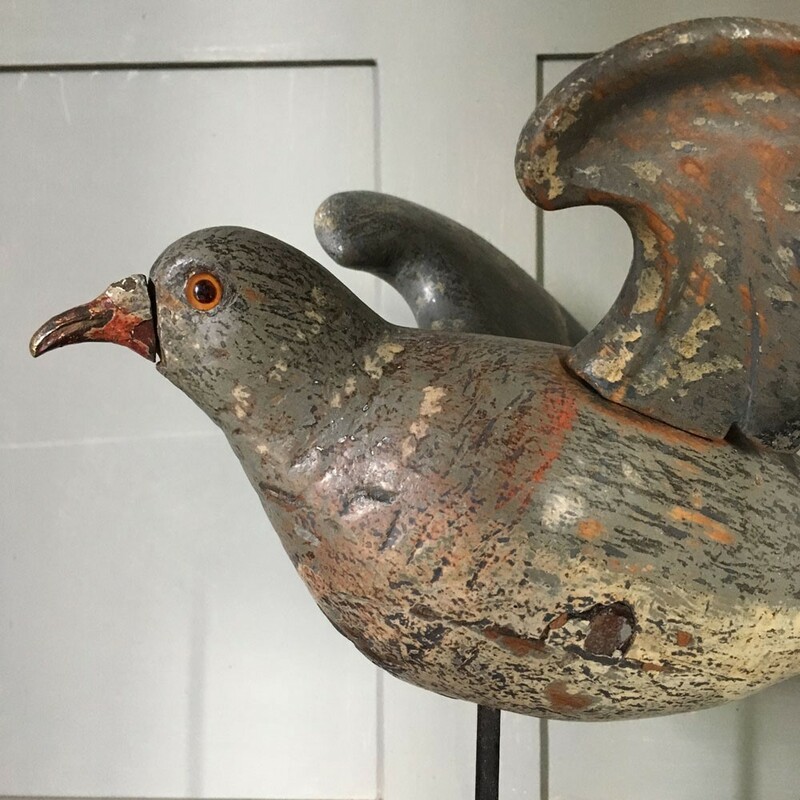 All of their decoys were notable for the amount of carved feather definition they were given. 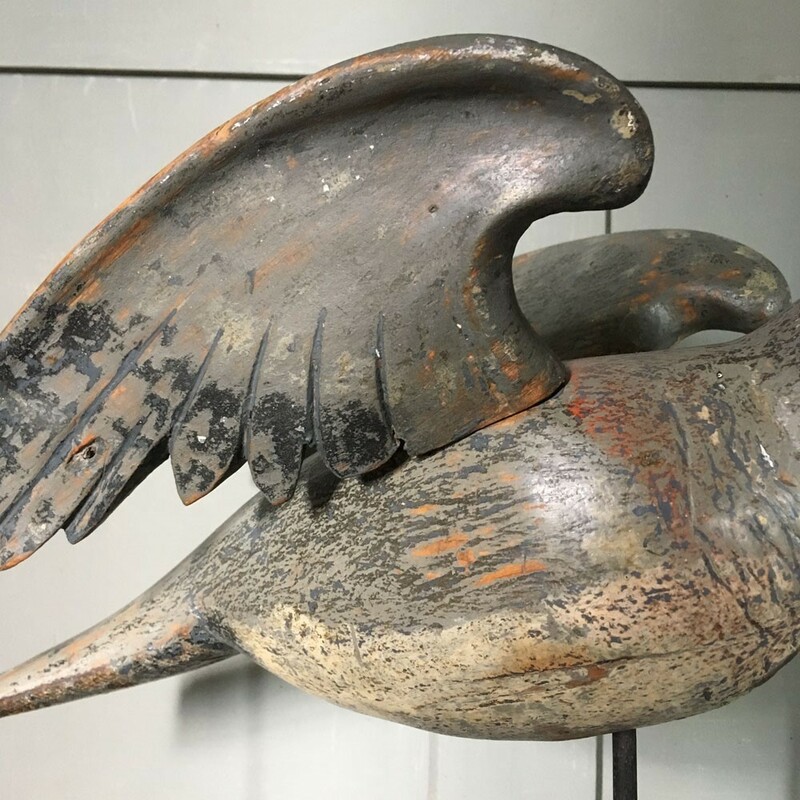 This example is one of their rarer ones; individually carved wings have been added so that they can be posed fully extended rather than closed. 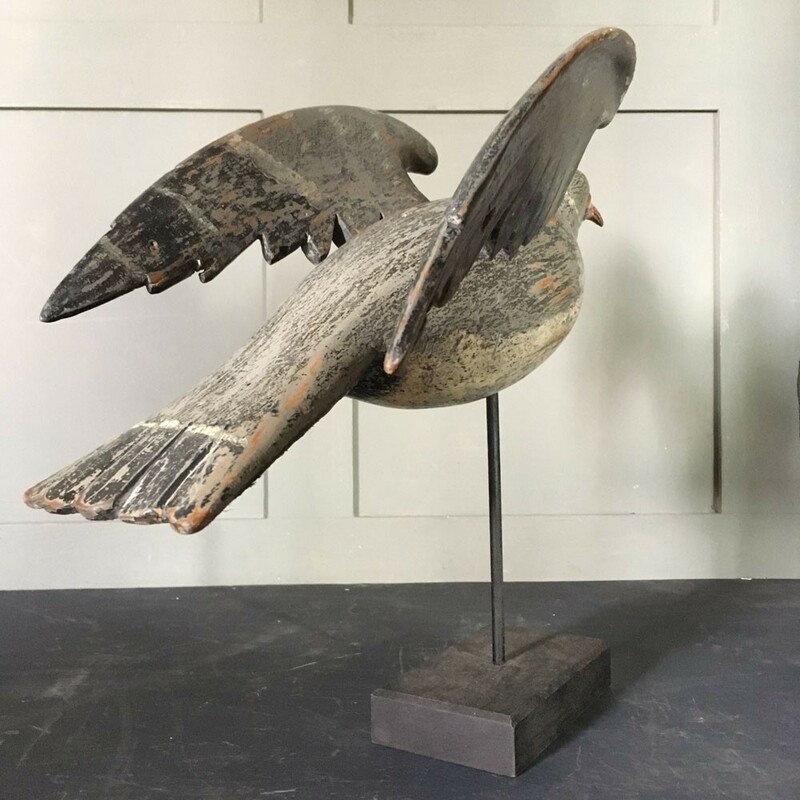 Each wing has beautifully carved primary feathers. 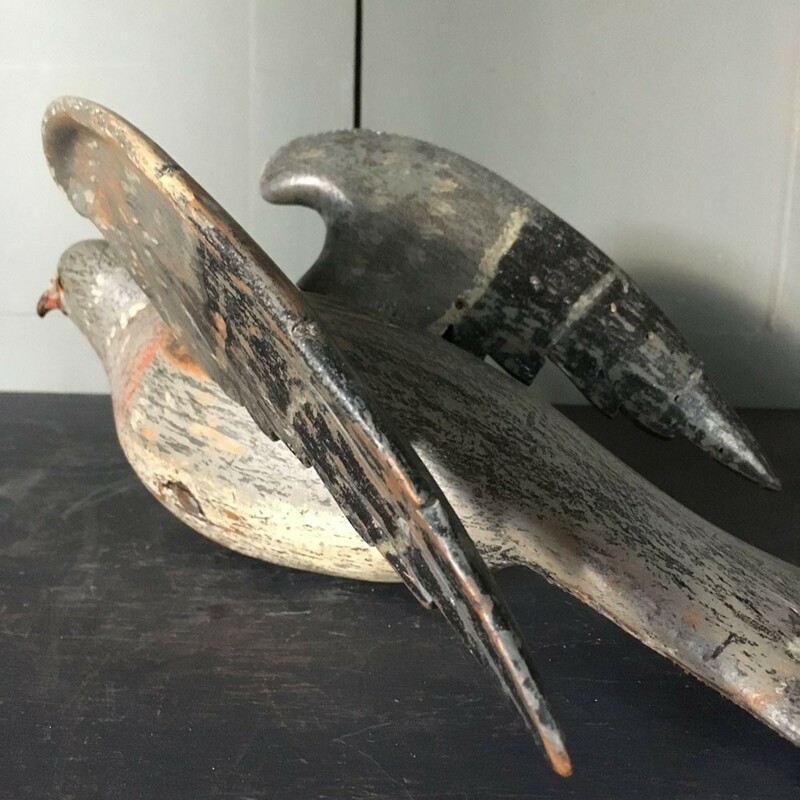 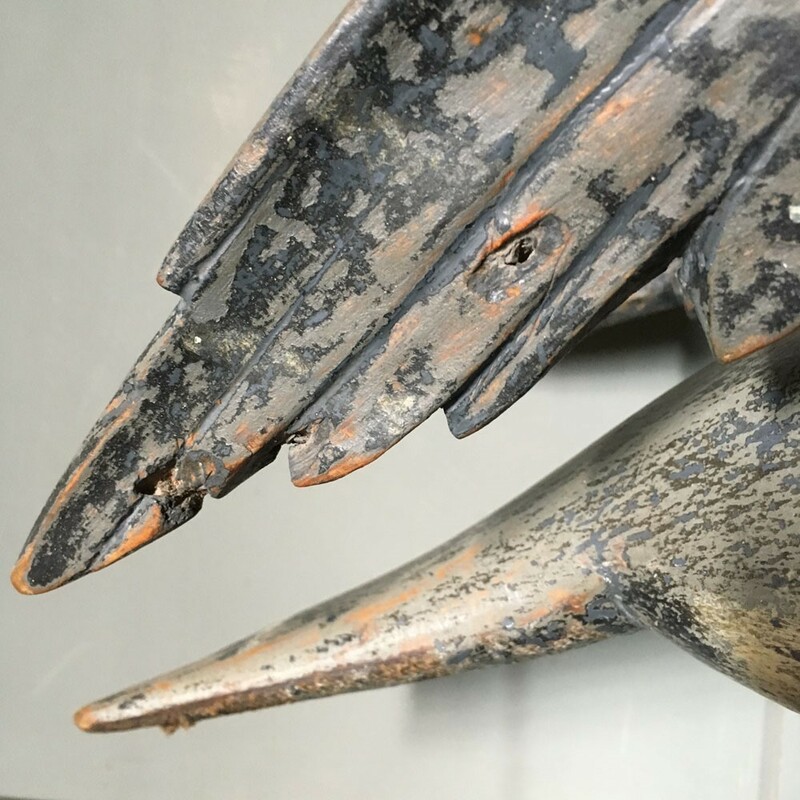 The decoy has its original glass eyes, original cast brass beak and, although now well worn, it still has most of its original paintwork. 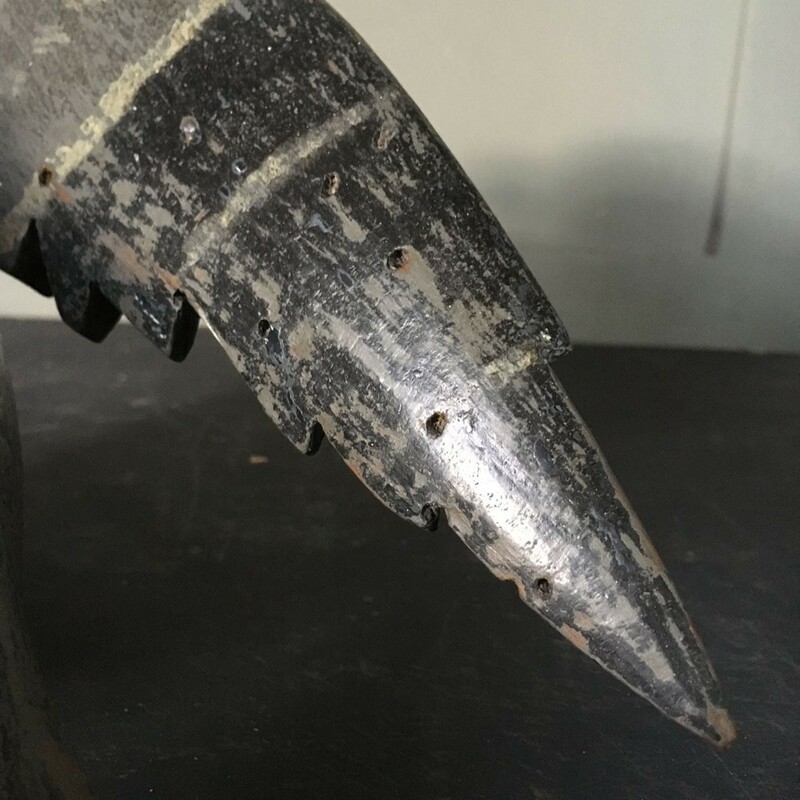 It has obviously seen a lot of use over the years, evident in the shotgun pellet holes! 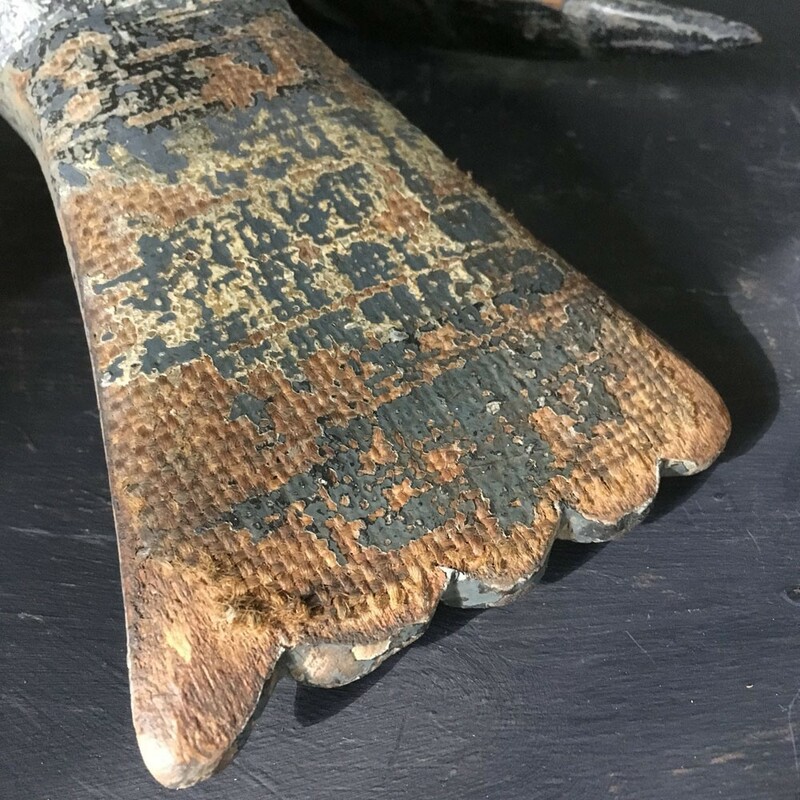 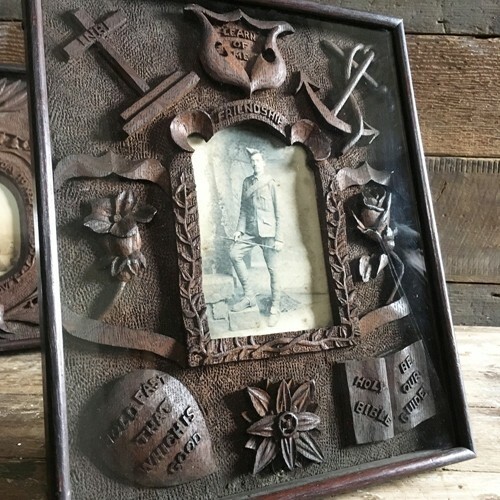 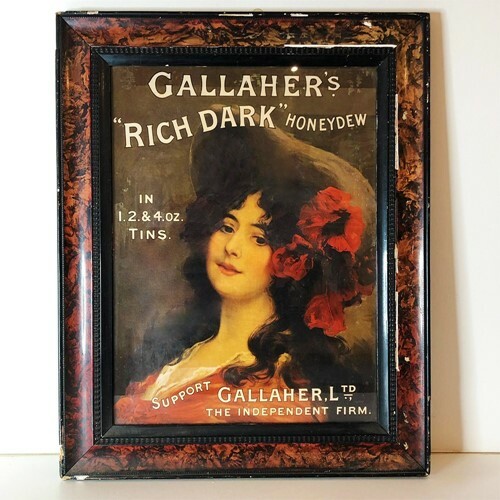 Over all in good condition, with no repairs or restoration.